A national voice on race and ethnicity and a civil-liberties scholar, john a. powell has been selected to lead UC Berkeley’s Haas Diversity Research Center and to hold the Robert D. Haas Chancellor’s Chair in Equity and Inclusion. He joined the faculty of the UC Berkeley School of Law and departments of Ethnic and African American Studies this semester. Haas Diversity Research Center leader john a. powell. Powell, who graduated from Berkeley Law in 1973 and chooses to use lower-case letters for his name, arrives from Ohio State University, where he taught law and directed the Kirwan Institute for the Study of Race and Ethnicity. Berkeley’s Haas Center is the first of its kind in the nation — a multidisciplinary research initiative to study race, gender, sexual orientation, disability, and socioeconomic status across the state, nation, and world. Chancellor Robert Birgeneau launched the center, initially named the Berkeley Diversity Research Initiative, in 2006. The Evelyn and Walter Haas, Jr. Fund significantly boosted the effort in 2010 by funding five new faculty chairs within the center as part of a $16 million gift to the UC Berkeley Initiative for Equity, Inclusion, and Diversity. Complementing these five chairs, the director’s position — the Robert D. Haas Chancellor’s Chair in Equity and Inclusion — was funded separately in 2008 by the Levi Strauss Foundation in honor of UC Berkeley alumnus and longtime campus supporter Robert D. Haas. The Haas Diversity Research Center will open in a renovated space on the fourth floor of Stephens Hall in fall 2012, thanks to additional funding from the Haas, Jr. Fund. 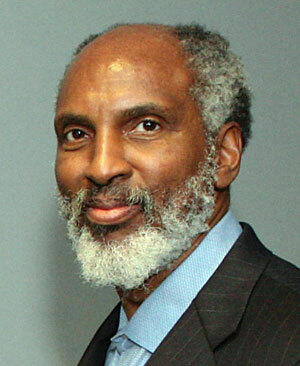 To read more about john powell and the Haas Diversity Research Center, go to Berkeley’s Equity. Inclusion and Diversity website.